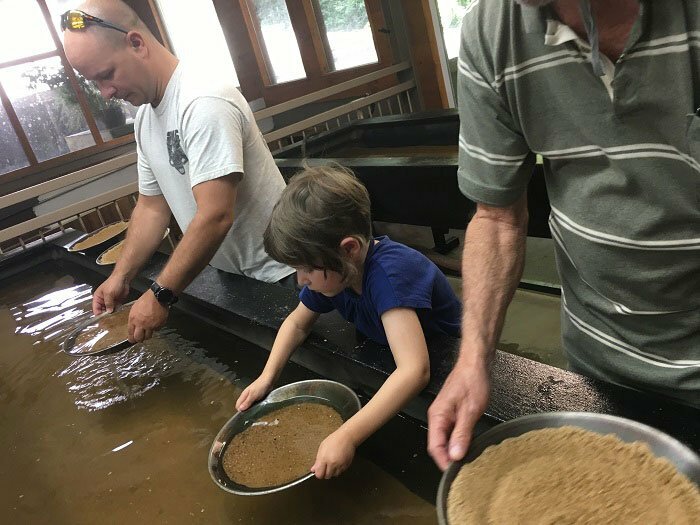 This post was created in partnership with Dahlonega, GA. Our family was provided tickets to the Gold Fever package in exchange for this post. 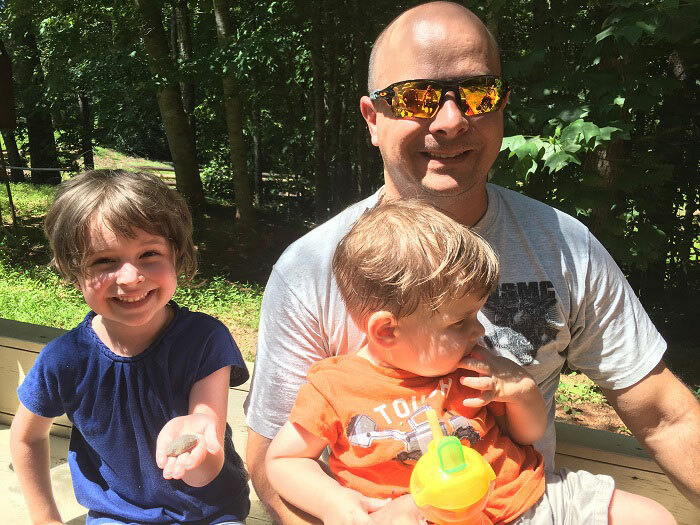 We’ve recently returned from our first trip to the mountains as a family. 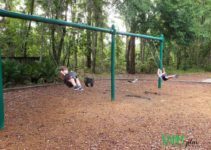 I spent many nights researching the many activities available to keep the kids entertained, while still trying to provide activities my husband would enjoy. At first, we’d considered vacationing in North Carolina. We decided against it as a first mountain vacation, because the idea of traveling 8+ hours with two high needs kids was terrifying. I settled on a small town in Georgia to eliminate about an hour in our drive, but still get us into the mountains. We also invited my dad on our trip. His knowledge of the mountain towns helped us to make our plans a little easier because my family went nearly every year while I was growing up. I knew he’d be able to help us decide on activities or get us close to something if we got lost. 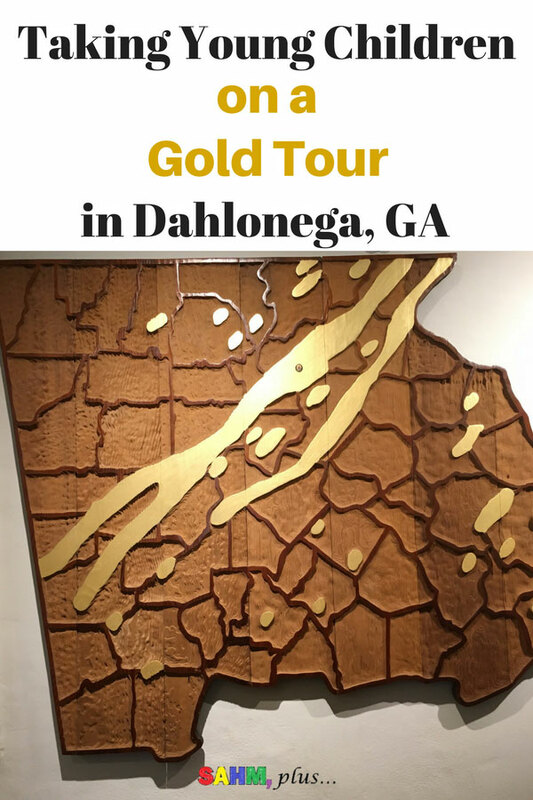 I plan to share about our trip in more detail in a later post, but right now, I want to share our experience with the Gold Fever Package we received while visiting Dahlonega, GA.
Know that the three stops in the gold tour Gold Fever Package took about half the day. We estimated nearly 1 and a half hour for each stop. 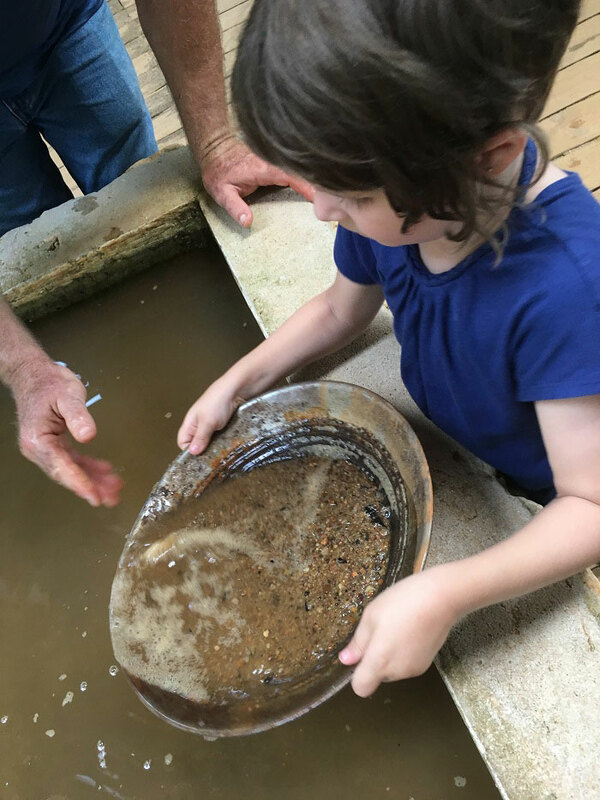 I believe that we could have made it through a little quicker had we not had to spend extra time helping the almost 6-year-old with her gold panning. 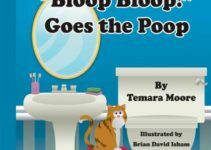 Plus, we were doing an extra pan for the toddler, who, let’s face it, would have rather splashed in the water VS shake up a pan with dirt. 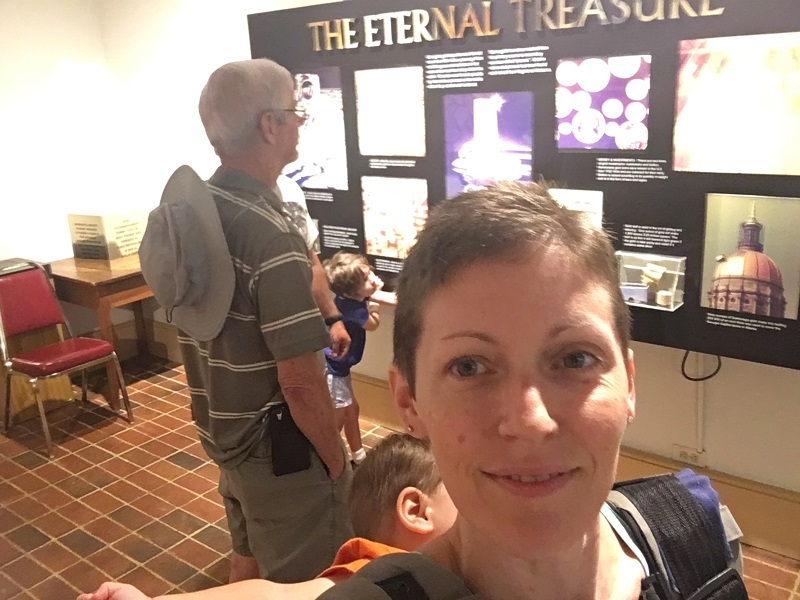 We started our tour at the Gold Museum because it was just across the street from the Visitors Center where we picked up our passes. The Gold Museum was a rather small building with wonderful information about Georgia’s gold history. Aside from the basic museum offerings, they provided a short 17-minute video to expand on the history. 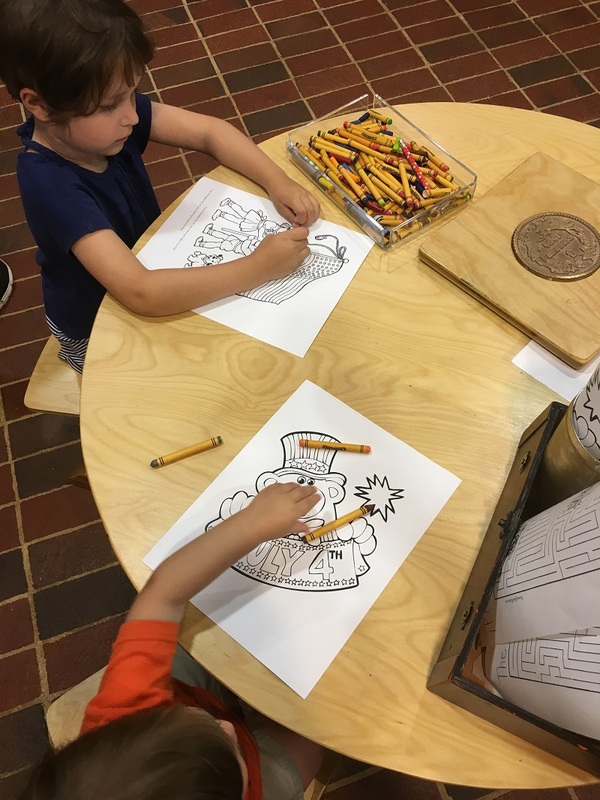 On the first floor, there was a room with some small activities for kids, including a table with crayons and coloring sheets. There was a little something for everyone in the family at the small museum, although the toddler really wanted to get his hands on the water cannon upstairs. After having lunch, we moved on to the next stop in the tour. 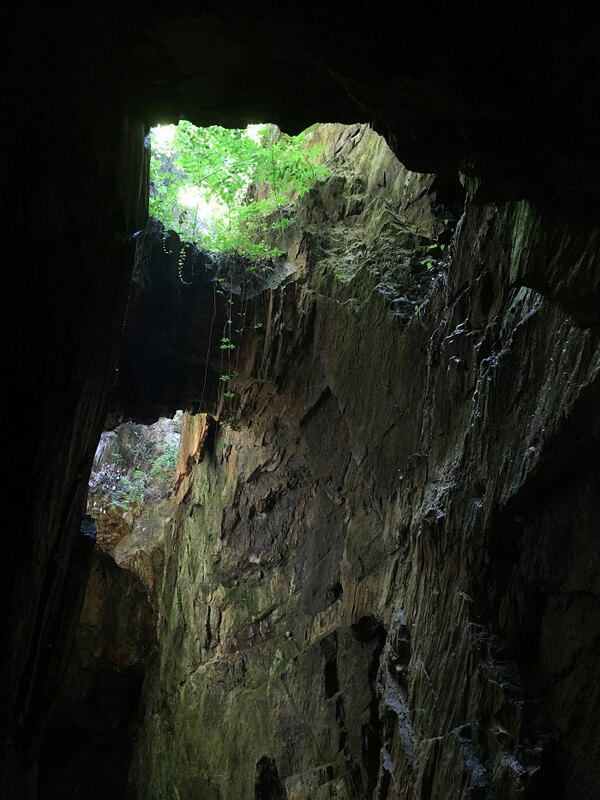 We chose the Consolidated Gold Mine since it was on the way to the final stop. 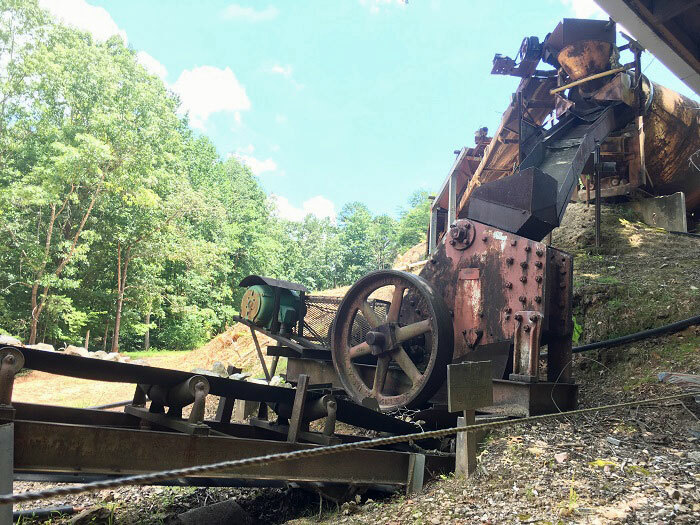 Consolidated Gold Mine offered a welcomed reprieve from the summer heat. We began with a video lesson on how to pan for gold, then we went on to get our pans of sand to start panning as they did in the 1800s. This was quite a work out for us, as each pan takes approximately 15-20 minutes to sift through. Our daughter needed a lot of help and our toddler son was strapped to my back the whole time. There was no way to hold him up to the water comfortably, though I wouldn’t have trusted him with a pan of sand at the largest water table he’s ever seen. After panning, we waited in the courtyard for the tour of the underground mine. 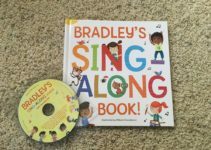 This was a great experience for the whole family in the heat of the summer! The underground mine tour goes about 200 feet deep. If you’ve ever been in a cave, you know they get cold. This was no different! It was about 60 degrees and they say it stays that way year round. I totally didn’t think about it, so I forgot to tell everyone to bring their sweaters. Thankfully, because the tot was strapped to me in the Boba the whole time, I remained pretty comfortable. From there, we moved on to the Crisson Mine. 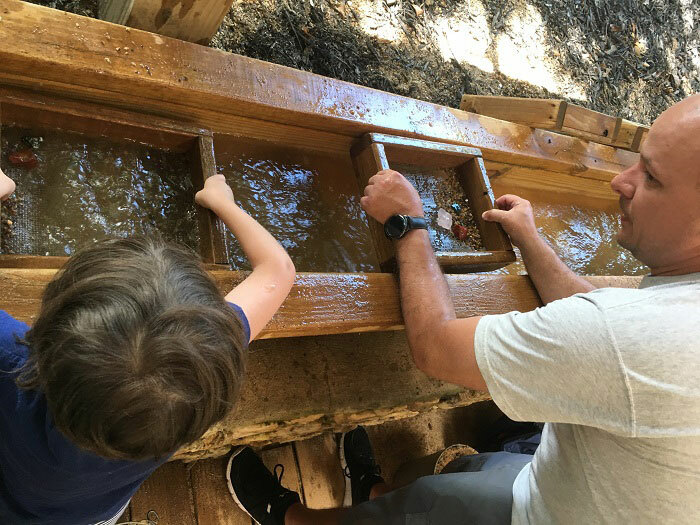 Here, our passes covered gold panning and gem mining. We were provided another vial to collect our gold and a plastic bag for our gems. You walk outside through a self-guided tour of mining equipment, then head to a covered (but still blazing hot) panning and mining spot. 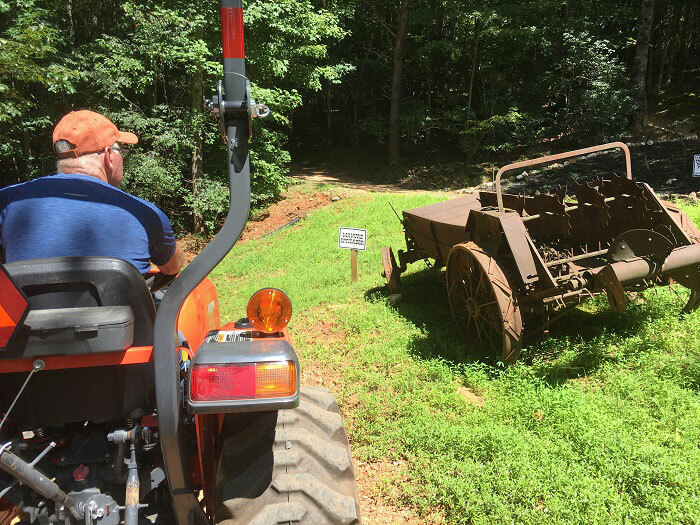 Additionally, we purchased a ride-through-tour of the property on a small trailer pulled behind a tractor at the reasonable price of $10 for our family of 5. Though it was hot, we appreciated the ride as we were able to sit and rest after the extensive time on our feet. The ride was quiet (aside from the tractor) as we read the signs, stared at equipment, and pointed at the various animals on the property. My husband got the turkey gobbling up a storm for everyone, too. That’s awesome. I wish I have a family that is game with that. So how was your gold mining? Was a great trip, had been there many times with Ivy and Jesse, but had never gone into the mines. 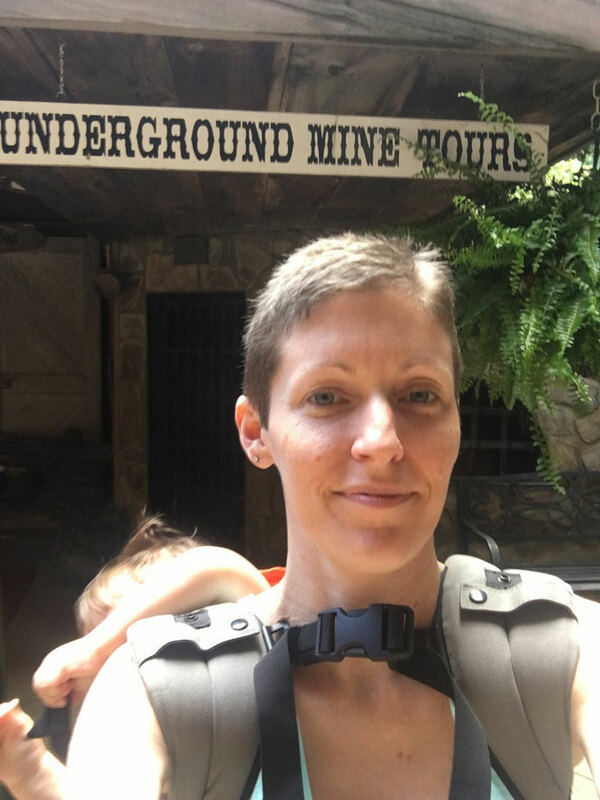 I love going into caves and caverns, and you to had been in almost every one from Florida Cavern all the way up to Mammoth Cave in Kentucky. 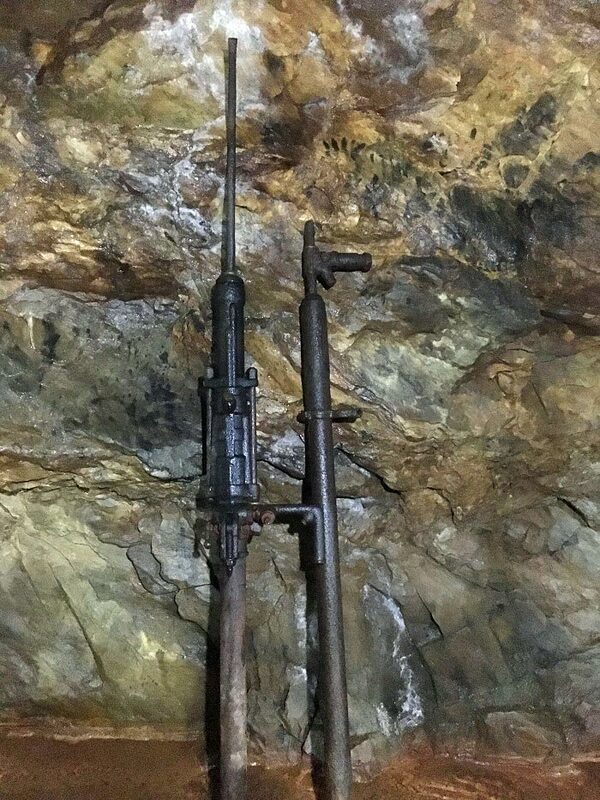 But, the mining tour was different, and hearing the history, how much gold was removed, old and current pricing, was amazing, as well as the dangers these men faced. An experience well worth the cost, and cold of the underground mines. And believe it or not, portions very pretty also. I highly recommend it.